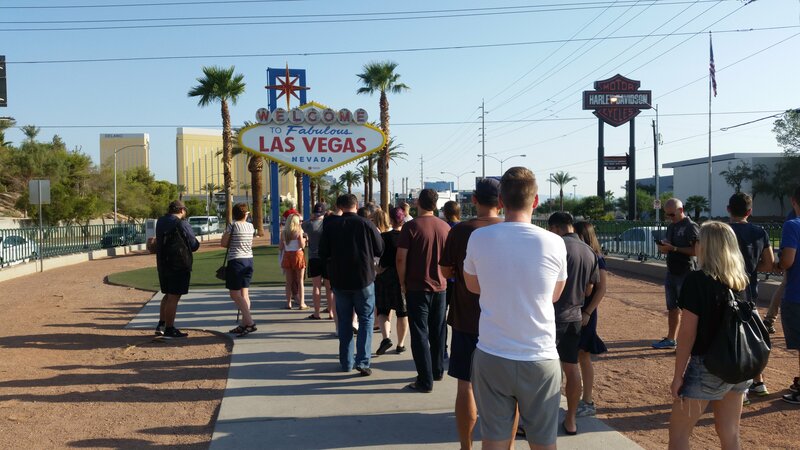 ← Is everyone a scamster in Las Vegas? It’s easily one of the world’s most famous signs. “W E L C O M E TO Fabulous LAS VEGAS NEVADA” proclaims the 25-foot-tall, diamond-shaped neon landmark that sits at 5200 S Las Vegas Blvd. in the median at the southern end of the Las Vegas Strip next to McCarran International Airport. (You can see the sign at the top of this blog.) It’s lit up at night. The first sign is probably obvious. 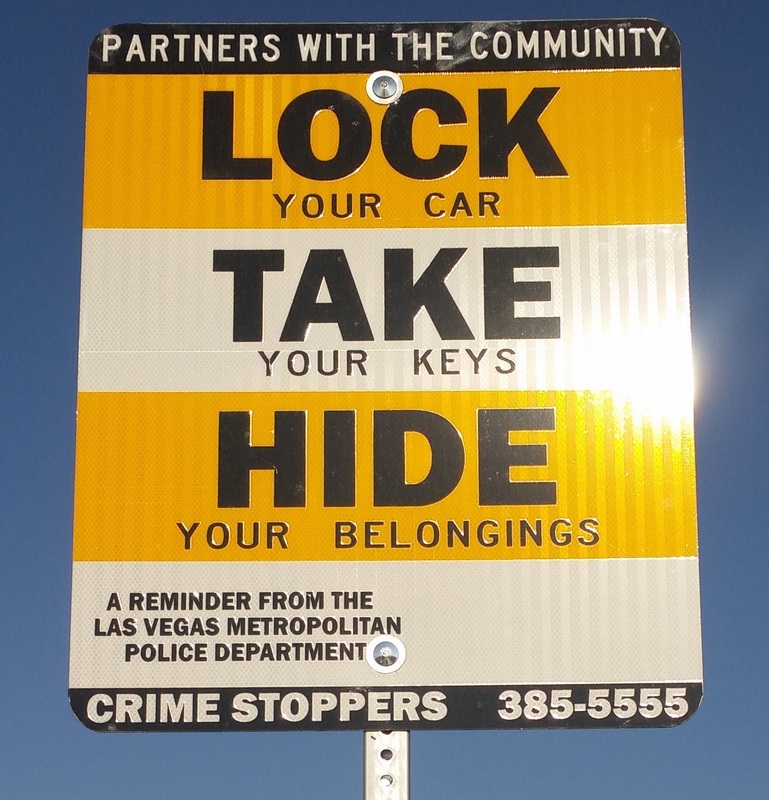 The Las Vegas metro area has a serious crime rate that is about double the national average. Tourists definitely should be aware of that. The second sign, though, might take some ‘splaining. 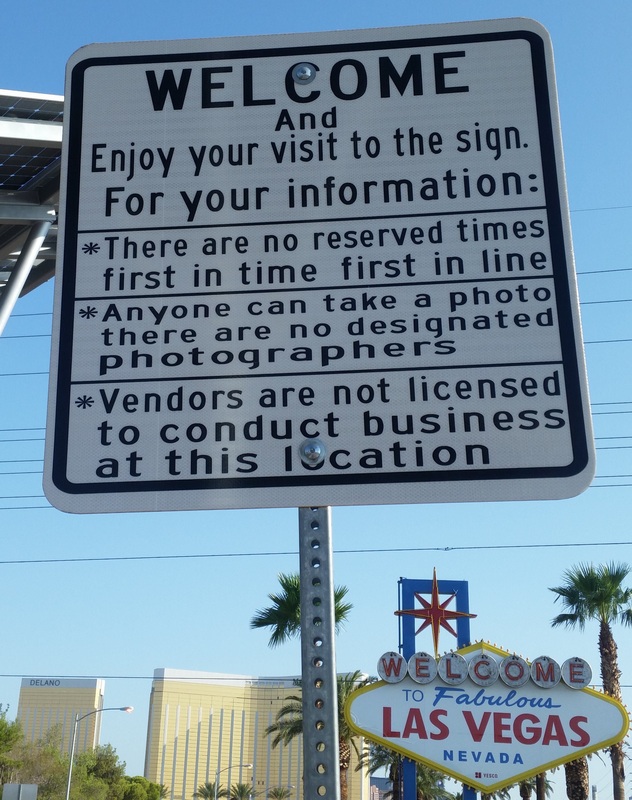 It seems that local authorities have had problems with individuals who sort of dress and act like they have some kind of official status and the right to regulate photography at the sign. When I was there, one fellow wearing a shirt with an image of the sign–it never was copyrighted–was hovering near the front of the line thisclose to imitating a marshal in charge of crowd control. He repeatedly offered to take a visitor’s photograph using the visitor’s cell phone. He expected a tip for the service and usually got one. So is this a scam? While it seemed to me that some of the tourists thought he was somehow official, I saw no evidence of intimidation, and plenty of visitors ignored him and took their own photos. So probably not. But this absolutely is an example of the many hustles hereabouts. By the way, the far-less-photographed back side of the sign reads, “DRIVE CAREFULLY.” That’s pretty good advice, too. Bill – I see you have landed in Vegas. Seattle will never be the same.